Choosing a new vehicle for your Barrington and Itasca drives is hard enough, and it’s even more difficult when you’re trying to decide between buying vs. leasing at the same time. Both paths offer significant benefits, but in order to make the correct choice, you’ll have to consider your finances, your needs, and your desires as a driver! We break down the advantages of leasing and the advantages of buying in the space below, so you can take the guesswork out of the process. Your Vehicle, Your Decision: At the end of the day, some drivers simply want to be their vehicle’s ultimate owner, and who could blame them? Total ownership means you’re free to outfit and customize your vehicle exactly as you wish. Drive Where You Please: When you’re the owner of your vehicle, you won’t have to plan your life around the mileage limits in your leasing contract. Although putting unnecessary miles on your car is rarely a good idea, the feeling of freedom this brings is a real boon for some drivers. Lower Long-Term Cost: When you finance a vehicle, you’ll have to make payments until the auto loan is paid off. Although monthly lease payments are often smaller than those associated with financing, the payments themselves never come to an end! When you buy, you’ll also be able to trade-in your used vehicle and save on your next purchase. Financing with Options: Although most lease contracts are simple enough, most drivers find the financing process to be even more straightforward. 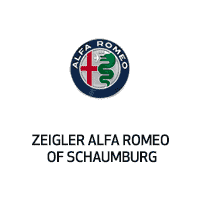 Dealerships like Zeigler Alfa Romeo of Schaumburg want to see you behind the wheel of a car you’ll love, and even if you have poor credit, we’ll work with you to calculate a payment plan that works for you. If you think that you may be ready to buy, start exploring our new vehicle inventory or take a closer look at our pre-owned Alfa Romeo vehicles. Lower Short-Term Costs: When you lease a vehicle, you’ll only pay for the amount that the vehicle depreciates while in your possession. This means that drivers who lease will generally enjoy smaller monthly payments. What’s more, they’ll pay a smaller amount of money in sales tax! Stay in the Newest Models: Drivers who purchase their vehicles might spend years behind the wheel of the same car, but when your lease contract expires, you can start up a new contract in a different model right away. The trade-in process is simple and easy, and you’ll have access to the newest models as soon as they’re released. Coverage Under a Warranty: When you lease a car, most dealerships will want to ensure that it receives all of the necessary maintenance while under your care. Most leased cars will be covered by a warranty for the entire time that they’re in your possession, as long as you don’t go over the number of miles that you’re allowed to drive! Easy to Get Approved: Although it’s certainly possible to find low credit auto financing near Barrington, the high interest rates associated with these plans can make them unattractive options. Getting approved for a lease is often much easier, and much less costly, if your credit isn’t where it should be. If lower monthly payments and quick, easy trade-ins sound good to you, start the process of leasing an Alfa Romeo near Chicago. If you’re still trying to decide whether starting a lease vs. buying is right the right choice for you, reach out to one of the team members at Zeigler Alfa Romeo of Schaumburg! We’ll help you explore all of your options, value any trade-in you possess, and lease or buy a car that you’ll be proud to drive. Whichever way you’re leaning, remember that there’s no one-size-fits-all solution, and that the choice is ultimately up to you.